And with the arrival of Christmas I get a great excuse to set up my Lionel train. This 1958 model was set #1590 and was considered a “Budget” set in the day. My grandfather got it from the bank for making deposits into his savings account, and gave it to my uncle Curt for Christmas that year. I’ve had it for 10+ years and it comes out now and then for Christmas. 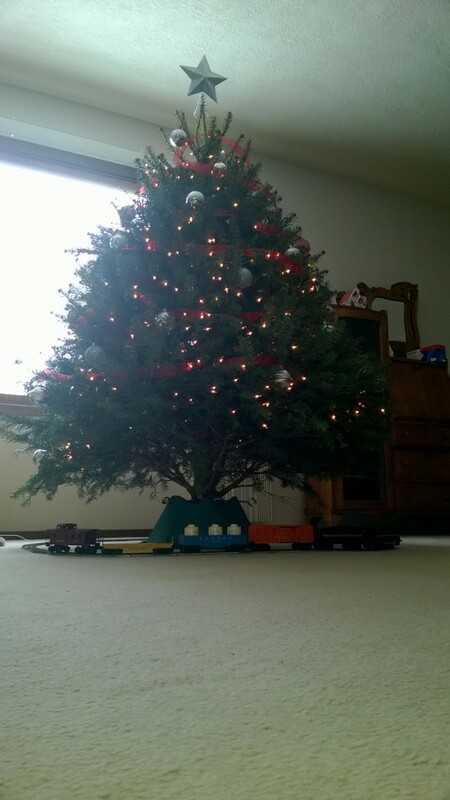 I cleaned it up and got it running again this year under the tree. Luckily since grandpa was a TV repair man he kept it well maintained! I’ve ordered the truck that goes on the flatbed, as well as a few other bits and pieces to get it back in tip top shape.